Technical Outsourcing solutions for your brand with complete white labeled support. Be it a Tech Help Desk for a University, Higher Education Institute, Hospitals etc. IT Help Desk Outsourcing is yet another offering from GTPS which will help benefit your enterprise in numerous ways, right from reduction in cost units to taking off the unnecessary stress, from your valuable IT employees. Our specialized team of staff, is trained to take the remote access of the end-user’s device thus addressing all their issues rather quickly, and thereby more efficiently. At GTPS, we offer ‘white label’ technology support for numerous leading brands in varies verticals such as software, telecommunications, retail, consumer durables etc. Be it generic issues or complex technical ones, we offer support for all of them at the most competitive prices. GTPS offers proficient back office functions, for various business verticals of which premier BPO outsourcing services is our main stake. We offer customer support, 24-hours a day, 7-days a week and 365-days a year through our on-shore as well as off-shore locations. We ensure that our services are based on dependable facts and process driven, in a way that the end-users are completely satisfied at the end of a call. We at GTPS, understand the fact that time and again, you’re fired with a ton load of questions, and that the helps desk has a substantial amount of benefits, both for the staff as well as the students. It is therefore, that we have a dedicated team of experts, well-trained to handle the help-desk for your educational institution, who would take up the responsibility with utmost efficiency. Whether you’re running a full-scale hospital or have set up a private clinic, we understand that you might be facing some challenges pertaining to queries, requests and grievances from your patience. We can assure you that with our dedicated help desk services at your disposal, you can easily resolve all such issues of your existing as well as new patients. High-quality service is the foremost thing that keeps a business running in today’s times, and the key to maintain the quality is efficient communication with your stakeholders as well as customers. To ensure that you don’t fall behind on the run of attending to their queries and grievances, we offer you bespoke Help Desk services for your business. At GTPS, we offer end-to-end Windows App development services to help our clients Appeal to the largest user base possible. 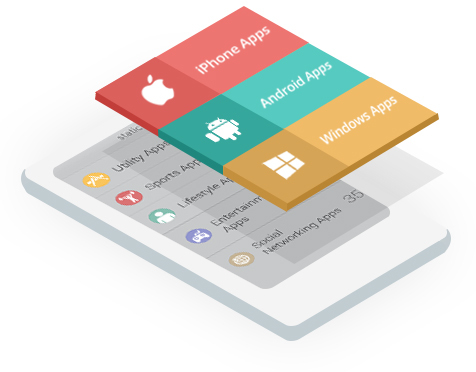 Whether you want to create an App just for Windows, convert one of your more popular iOS or Android Apps to function on a new platform, or create an enterprise-wide, cross-platform solution for your customers or employees, we can help. We know how to develop user-friendly, informative, and fun Apps for Windows devices. Easy to pick, hassle-free, less time-consuming and highly cost efficient. We also extend our services in the arena of software development, for all business needs. We understand that every business differs from the others pertaining to a wide plethora of parameters, and hence help develop solutions that are tailor made to further your business goals in a commercially viable manner.